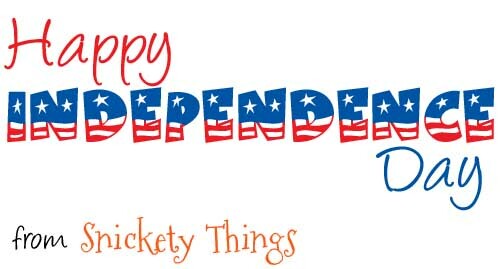 Snickety Things: Happy Independence Day! Just dropping in to wish everyone a Happy Independence Day! We are preparing for a cookout at our house. If the temps get too high we may have to bring it inside and have an indoor picnic. Either way, it is time spent with family. One thing I am proud to show off is the latest addition to our front porch. 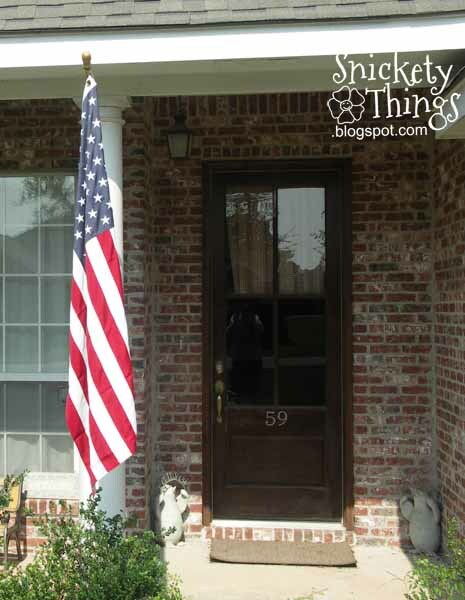 When we bought our house a few years ago, our Realtor gifted us with a US flag. We have tried to hang it several times, but the bracket always broke and it would come tumbling down. It never stayed up for more than a day. A couple of weeks ago my husband found a metal bracket that looked fairly stable so he decided to give it a try. It is still holding our flag high to greet guest that come by. Or just to make the dogs bark because they thing someone is coming to the door every time the wind catches it. 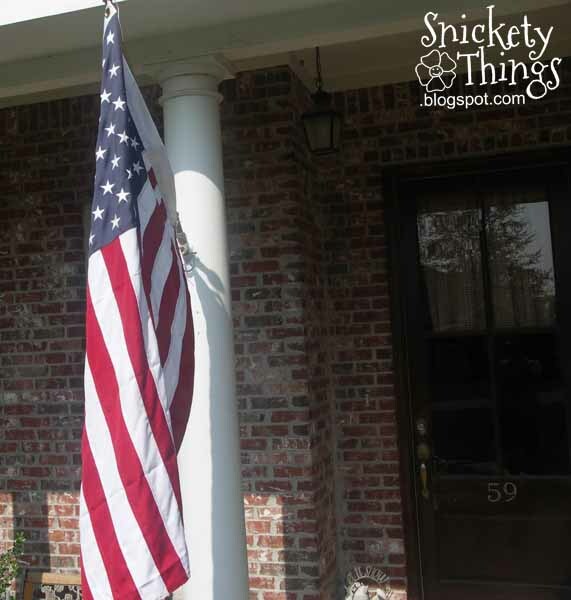 We are proud to display our nation's flag in front of our home. 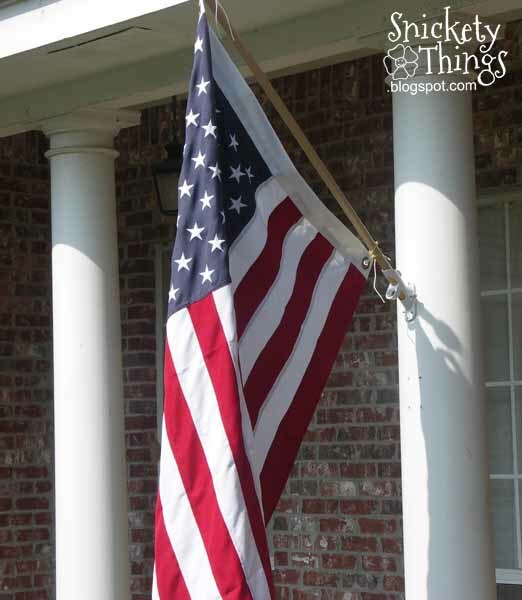 Doesn't Old Glory look great? I hope you all have a safe and fun 4th of July! If you had come to Michigan you would have spent the time outside! Of course, you would have had to run from zombies!!! Ha! It didn't get as hot as it was supposed to, but it did rain here. Made it really steamy for a while.